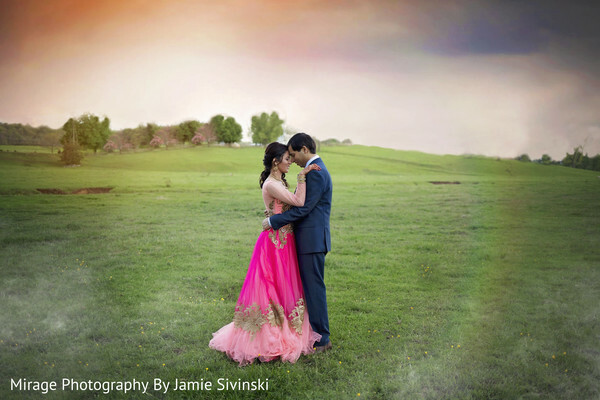 It was only after four short dates that Maharani Shweta knew that her Gaurav was the one. Even though their relationship was a bit long distance at a time, the love between this lovely couple only bloomed brighter. One of the most memorable moments of wedding planning was selecting all the food and decor for their series of events. And, the bride and groom’s guests couldn’t stop praising the selection of eats! 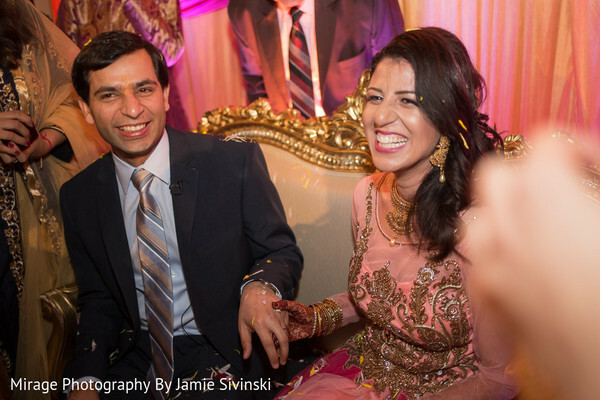 However, when the bride decided to bring on Sumeet Bagai of Dream Shaadi, everything began to fall in place! 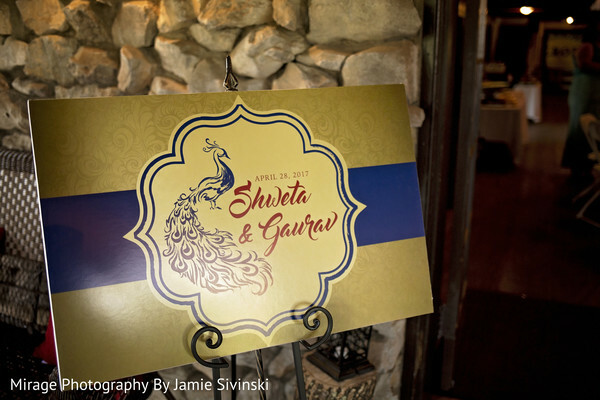 Shweta’s series of events were flawlessly executed with the expertise of this stellar event design team. 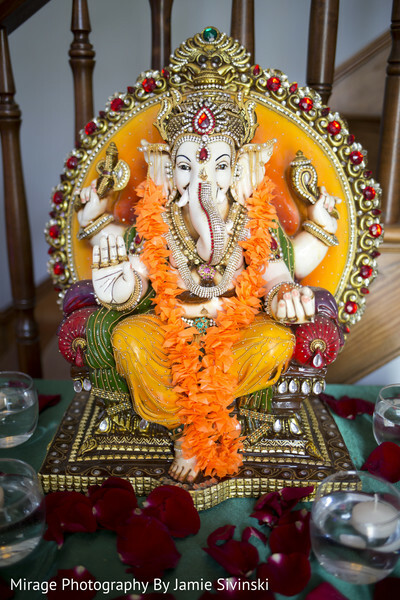 The sangeet ceremony took place at the Melrose Caverns which was decorated to match the inside of a genie’s lamp. A plethora of colors sprinkled the venue that was grooving to the eclectic sounds of Planet DJ Productions. Lighting from Planet DJ Event Lighting bathed the room in the luminous glow. The bride donned a pretty in pink anarkali with all the proper good trimming. The artistry of Bhavna’s Henna & Arts completed this bride’s look with stunning henna adorning her arms and legs. 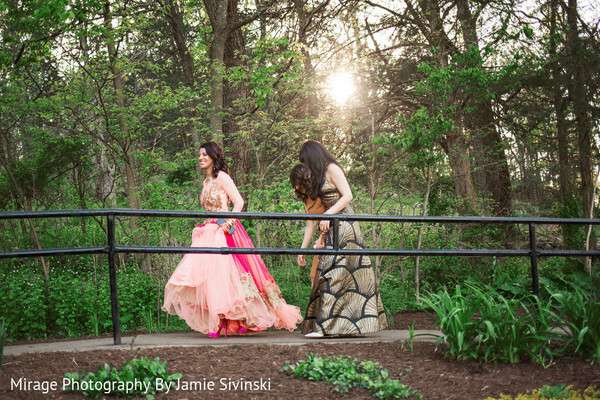 In the gallery shot by Mirage Photography Studios, you will find all the lovely images! 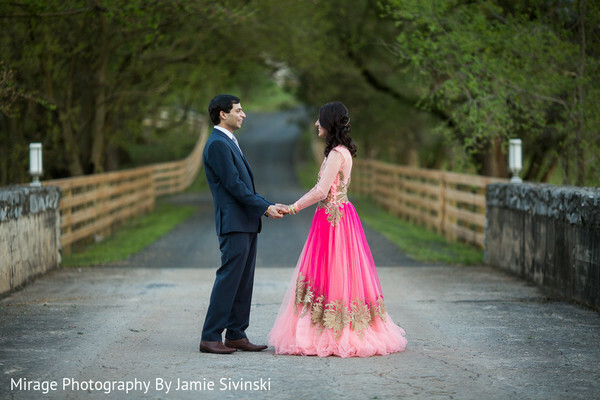 We head back to a traditional and romantic Indian wedding coming right up! 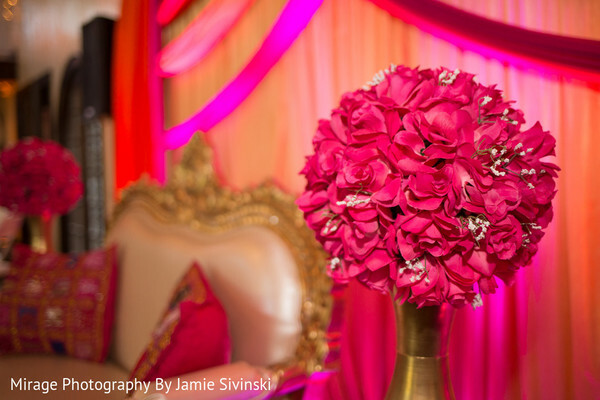 Dream Shaadi, Bhavna’s Henna and Arts, Planet DJ Event Lighting, Planet DJ Productions and Bollywood Bistro are members of the Platinum Guide. Love what you see? Explore their portfolios.